Today I had a couple of hours to kill between appointments so I went down to the waterfront on Dallas Road where there is always something to watch. The cool little birds with great haircuts were first. Then one of the many planes flying from the Inner Harbour to Vancouver and Seattle passed by. 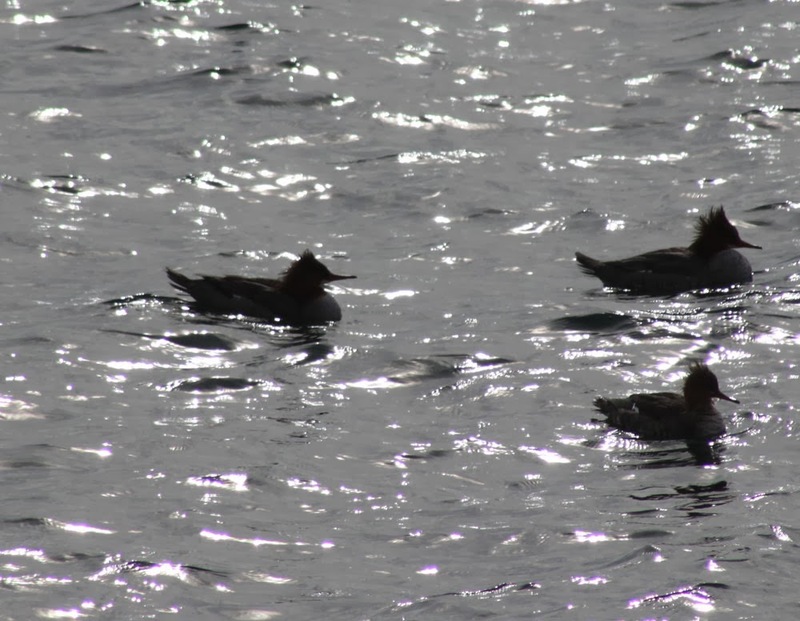 The a small group of Mergansers huddled together. The breakwater is also the location of the Pilot Boats. Every large ship that comes into Juan de Fuca Strait that is headed for Vancouver must pick up a Canadian pilot to guide the ship to and from Vancouver. 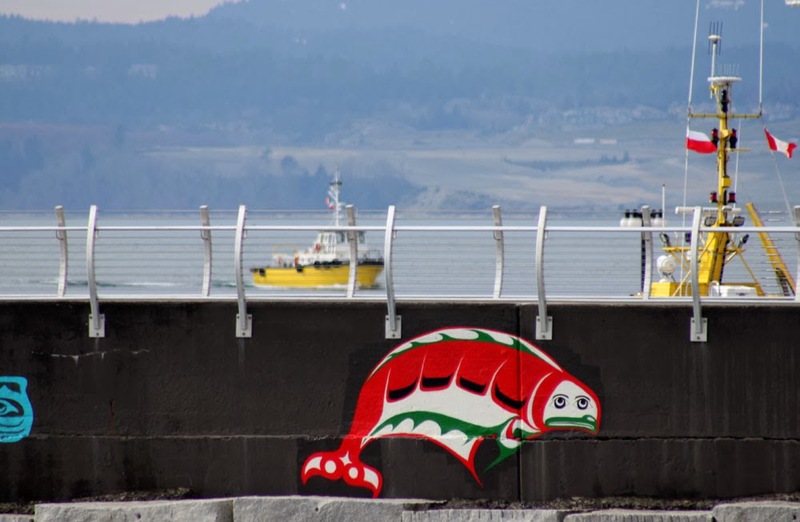 Every time I go to the breakwater there seems to be something new. The art has progressed along the sides and the handrails look great. I then followed the scenic tour into Oak Bay and passed the Victoria Golf Course. Along the way I discovered a daffodil display. The recent cold spell has made their spring appearance a bit behind the normal schedule. All this only killed one hour, but a very enjoyable hour indeed. For more pictures go to our Facebook page.